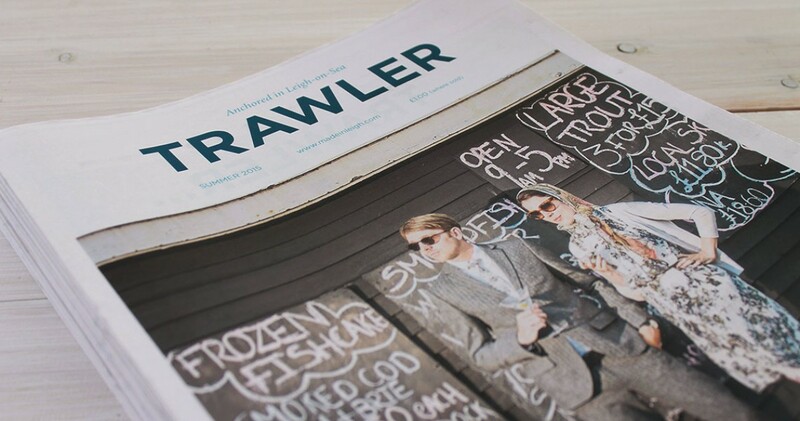 Trawler is a quarterly, 32 page independent-minded, community-generated publication anchored in and around Leigh-on-Sea, Essex. You won't find us talking about big brands or corporations, instead we like to discover untold stories about remarkable people, a snapshot into people's lives and what makes them tick. Stories of endeavour and entrepreneurial spirit, tales of passion projects and startups. Although we are anchored by the Thames estuary, this is a publication for curious people everyone and anywhere, our first edition had readers in Bristol, Edinburgh and London. We don’t restrict our fishing net to Leigh; we’ re interested in stories in and around Southend-on-Sea/ the Thames estuary. We’re inclusive. Trawler is not a digital publication; it's designed to be touched and shared - to be read in coffee shops, park benches and train carriages. We are independent-minded, we have an opinion, we like telling stories. We’re doing this for love not money. We want to inspire people to make a difference. CONTRIBUTIONS: We’re currently seeking pitches from prospective contributors for our next issue. Passion is more important than journalistic skills, we want to hear from people with a desire to tell a story, we’re interested in discovering talent and uncovering previously untold stories. If you’re interested, please email us at [email protected], subject line Trawler 02, telling us a bit about yourself (where you live, what you do, what Trawler means to you) together with your article idea (tell us which category it’s for and explain your idea in no more than two sentences). However, if you can’t find a copy (or live outside of the area you can buy a copy direct from the website via PayPal.